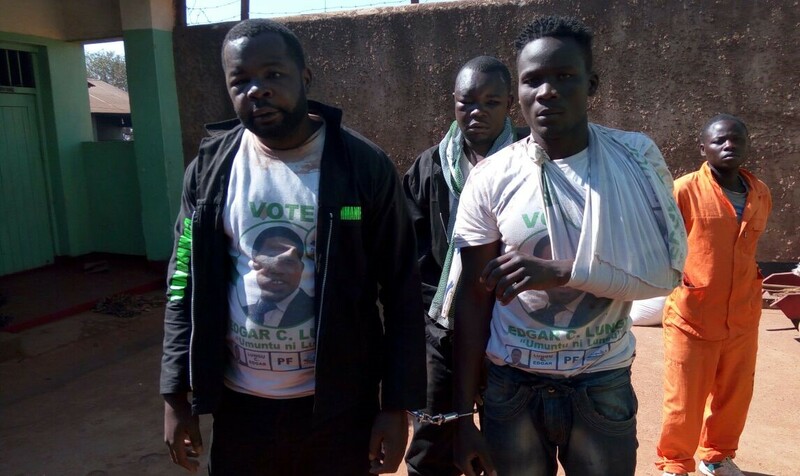 Patriotic Front Cadre and self appointed spokesperson for the party Max Chongu was on Friday afternoon beaten by his colleagues at Intercity Bus Terminal. The former Big Brother participant turned political cadre was beaten by allegedly President Edgar Lungu Special Assistant for Politics, Kaizer Zulu’s boys. Max has issued a statement accusing Kaizer Zulu of sending thugs to beat him up for unknown reasons. In the run-up to the 2016 elections, State House unleashed the Police on Max who was accused of causing confusion and supporting Dora Siliya in Petauke Constituency at the expense of an independent candidate. Chongu was locked up for weeks and was only released after the 2016 elections had passed. “Finish me am ready to die”.